Franchising has been around for decades. It’s a method of business that takes something that works and repeats it over and over again. By building businesses that are successful, and then recreating the best parts, business owners have been able to find growth over and over again. This is true for all industries and all markets. It's what makes franchising so great, and becoming a franchisee a successful model that more and more entrepreneurs have set out to conquer. It’s also why more and more professionals are looking to become business owners by purchasing a franchise vs. starting from scratch. Whether you’re already a franchisee or are in your beginning stages of research, take a look at these methods of growth and why they have proven themselves to be successful businesses time and time again. When you need a service or product, where are you more likely to shop? The new place? Or a familiar name whose services and policies you’re already familiar with? Customers are far more apt to frequent brands that are trusted from previous experiences, whether in person or from marketing campaigns. In other words, people remember commercials and will be likely to tuck them away for future use. When signing on as a franchisee, you can take comfort in knowing you’re joining a proven business model. The mistakes have been eliminated. Only the steps that work and now left behind. You can move forward in knowing that your business has only the best elements around. Whether it's your first franchise or you've been in the business for years, it's helpful to know that others are on your team. And especially those who have some incredible business knowledge. Take heart in knowing you aren't only relying on your own knowledge, but others – who have been there and successfully completed that business – too. Again, customers know they're getting a good product (or service). Meanwhile, you as the business owner, know you are giving a great product. There's no need to worry about quality or follow-through. As a franchisee you can be confident in your brand overall and spend your time on other areas of the business. There's a lot of experimenting that can be done in the business world. But as a franchisee, you don't have to worry about any of it. In fact, it doesn't need to be done at all. You don't have to worry about prices, software, etc. All of that has been done before you came into the picture, and it was proven successful. This brings some incredible peace of mind and it allows you to move forward with gusto, rather than wondering if your model will prove successful. The methods were already vetted, simply enjoy. 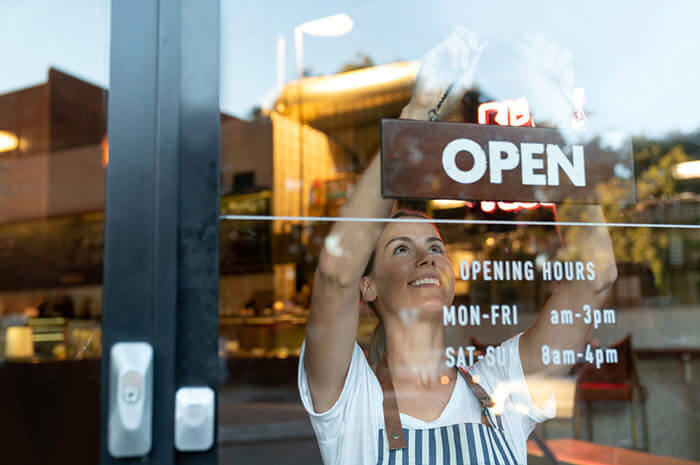 While many might want to own a business, your franchising company will actually have a say as to whether or not you get to open one of their locations. They won't work with just anyone, after all. They will ensure you are a good fit, not only as a business owner, but with their particular brand. Take this as a compliment – when they move forward with you as a franchisee it means they are confident in your abilities and your skills to manage their style. Finally, franchising brands are able to change as needed. If a market isn't working out like it should, or if a location isn't performing for whatever reason, they have safeguards to identify an issue (before it's a glaring problem) and to fix it in its beginning stages. This gives ease in knowing you won't fail on your own, you will succeed as part of a team. To learn more about becoming a franchisee or why this business model is an ideal way to do business, contact a franchise today.